In Bohuslän near Smögen/Kungshamn is Johannesvik located, the whole family’s vacation paradise. The facility is open all year round. Here is something for all ages, we have a wide range of activities in the facility and in our surrounding area. 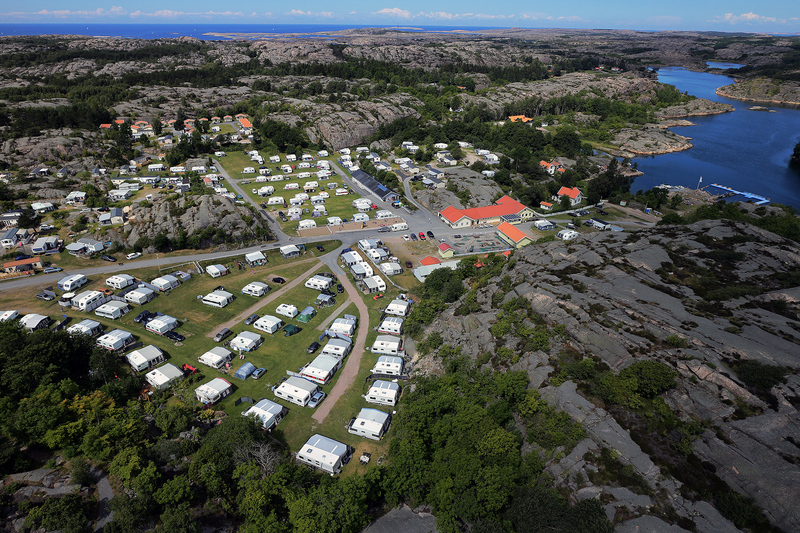 Johannesvik is a all year-round open family facility located in a scenic area at Kungshamns southern entrance. The facility has about 350 camp sites and 40 cabins. The area consists of alternating meadows and woodland, surrounded by mountains and sea. Our beach consists of rocks and a sandy cove for the kids. There is also a little pier that is well suited for crab fishing, a pleasure for both children and adults. There are five service buildings on the area, with all the equipment you could wish for in a facility of top class. WC, shower, dishwashing room, nursery room, and laundry facilities. For exercise, and scenic walks we offer nice jogging and hiking trails adjacent to the facility. Dogs are welcome guests but must be kept on a lead when they visit us. A little walk fro our beach is also the opportunity for dogs to swim. There are a dog shower at the facility. For those of you who want to exercise we offer a gym where you can workout in a calm and relaxed environment with good training equipment. For the whole family’s enjoyment we offer many different activities, such as: adventure miniature golf, boules court, barbecue house, wellness area, live music evenings, quiz and children’s activities. The area has wireless Internet. If you plan to visit Johannesvik for a conference, kick-off, board meeting, team building or to find inspiration in our glorious environment, you are welcome to contact us and we will help you build a package, according to your wishes!